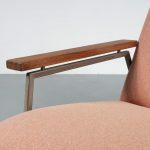 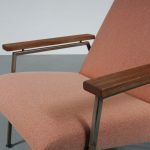 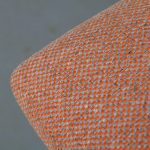 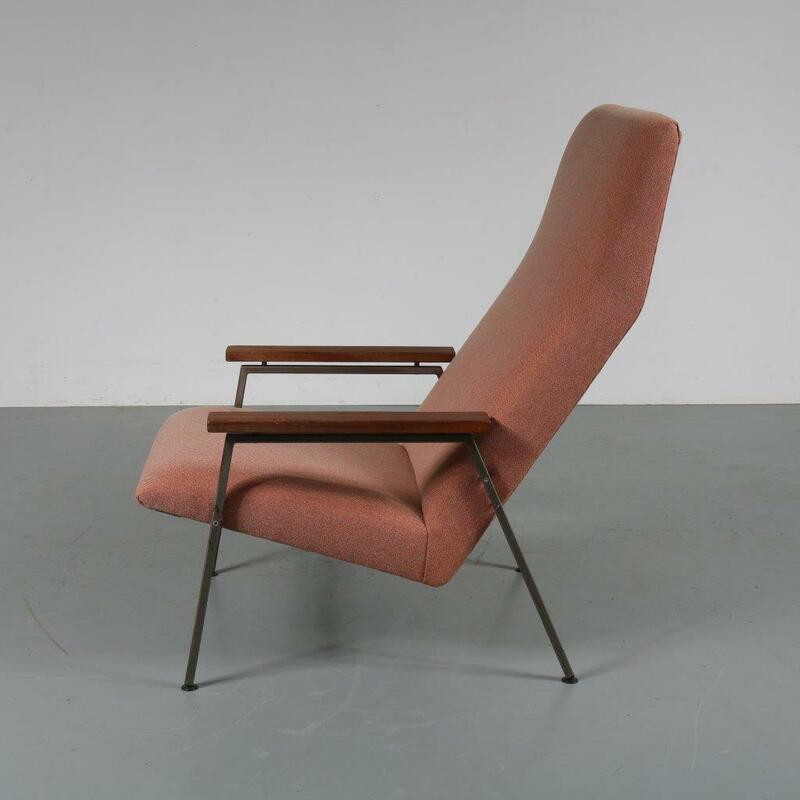 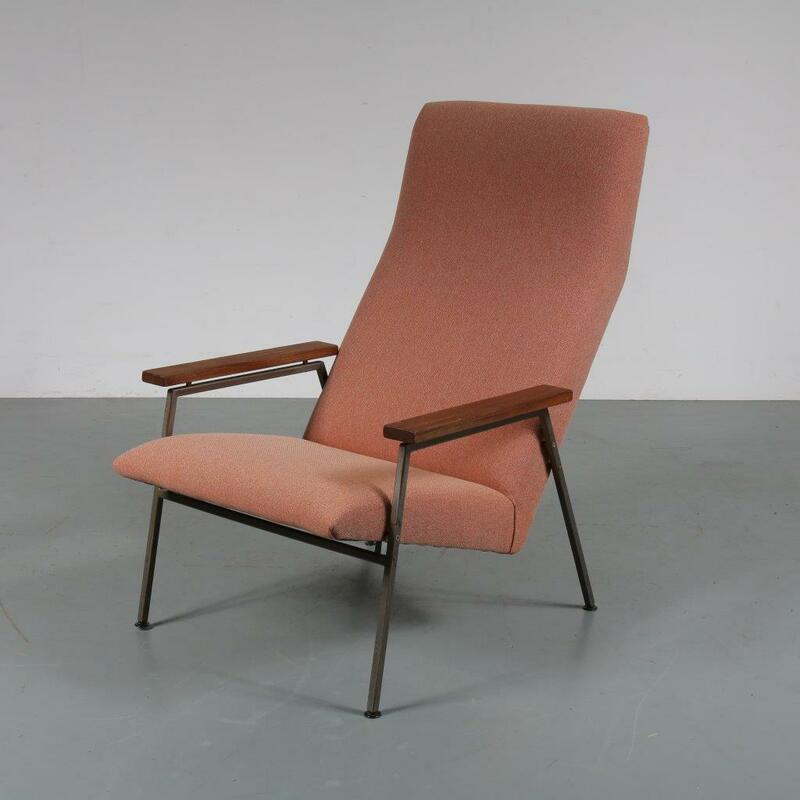 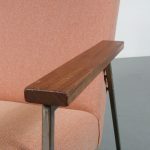 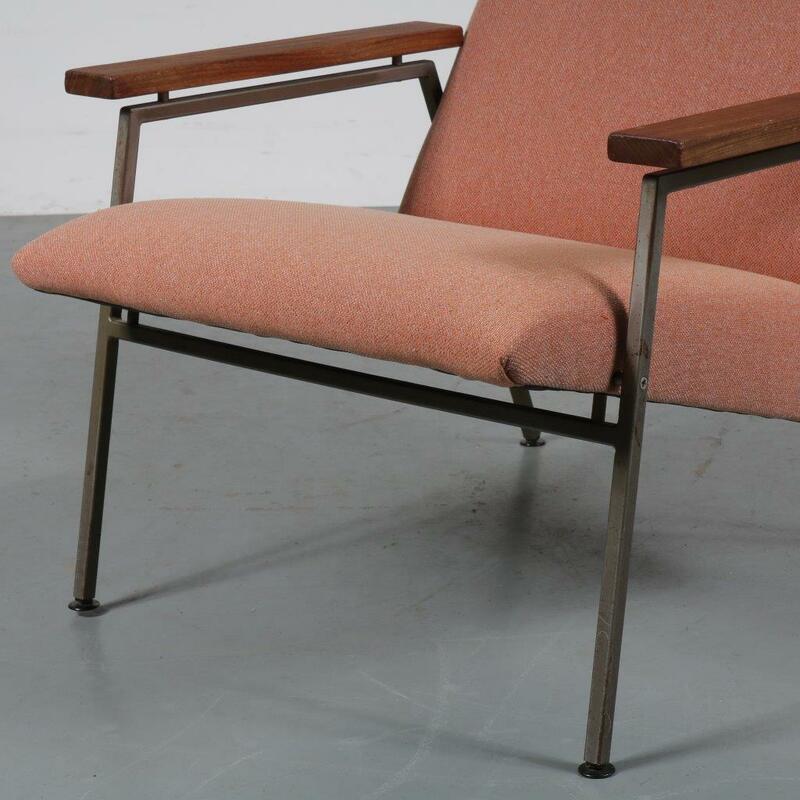 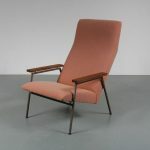 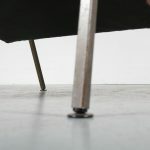 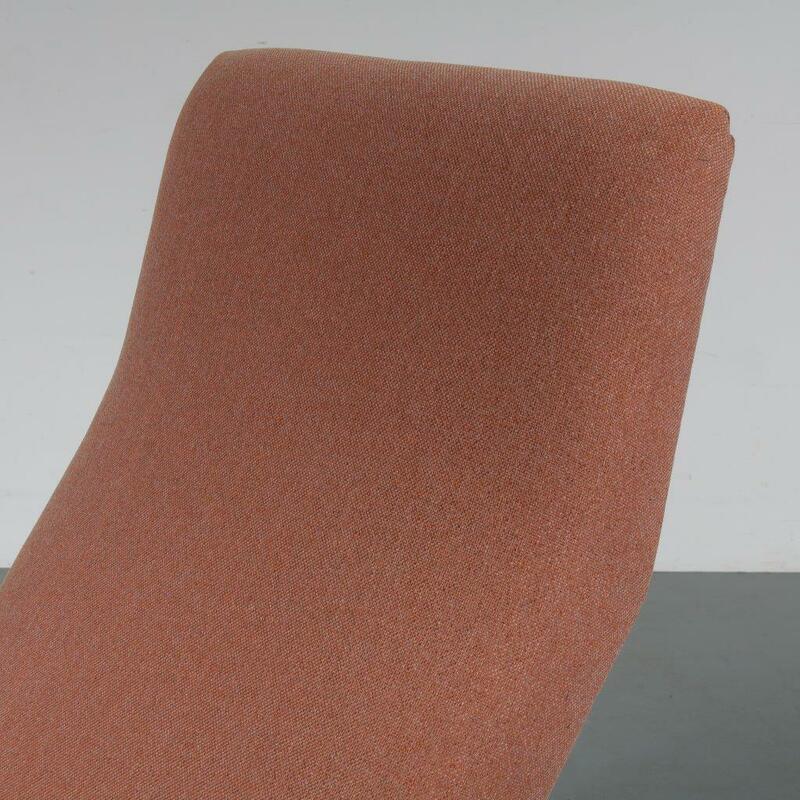 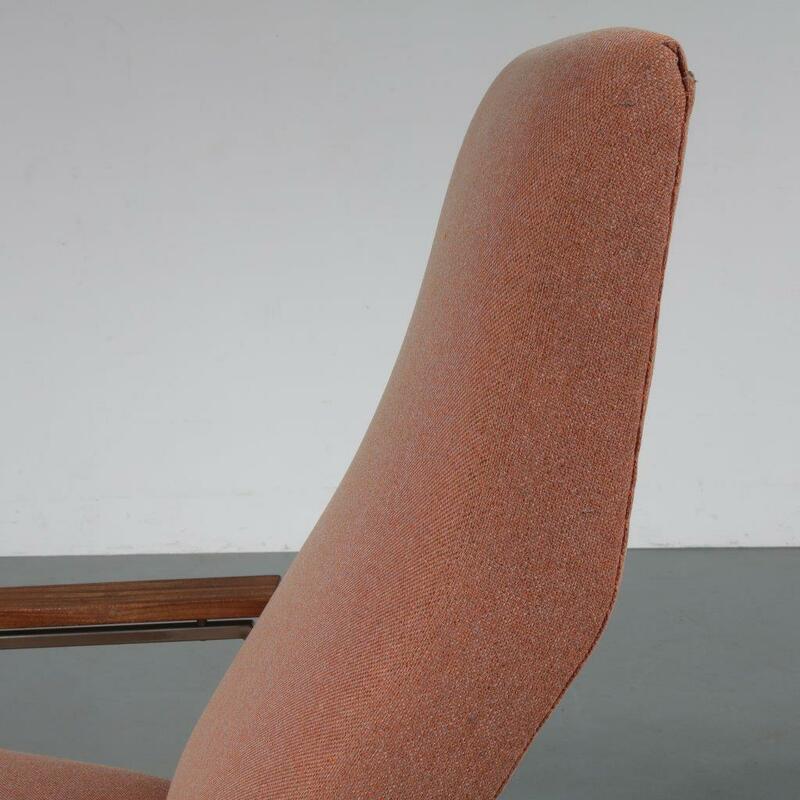 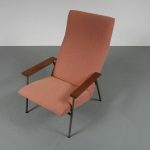 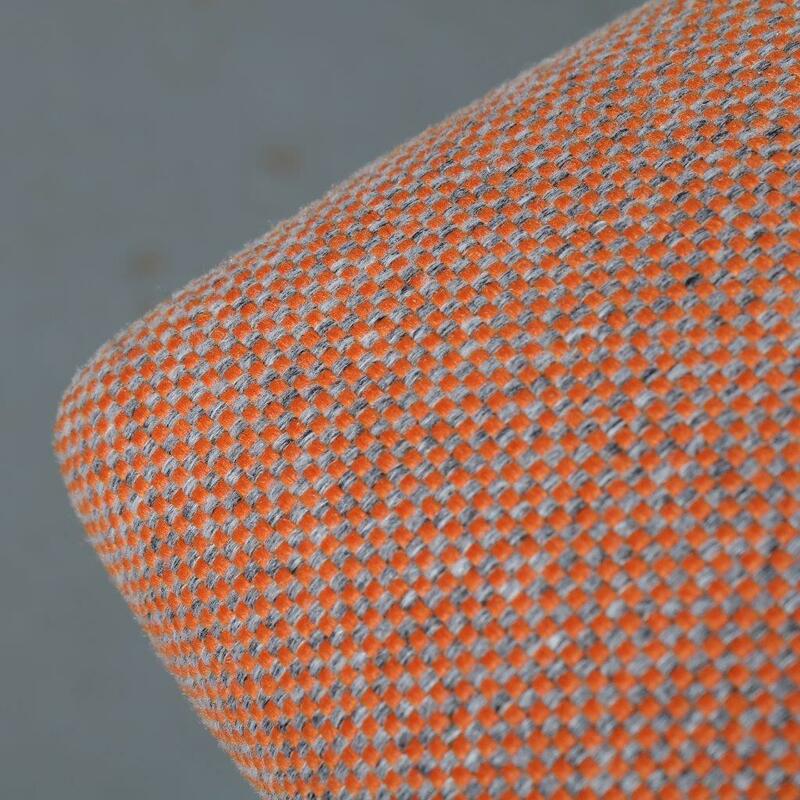 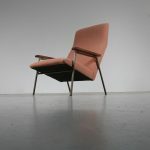 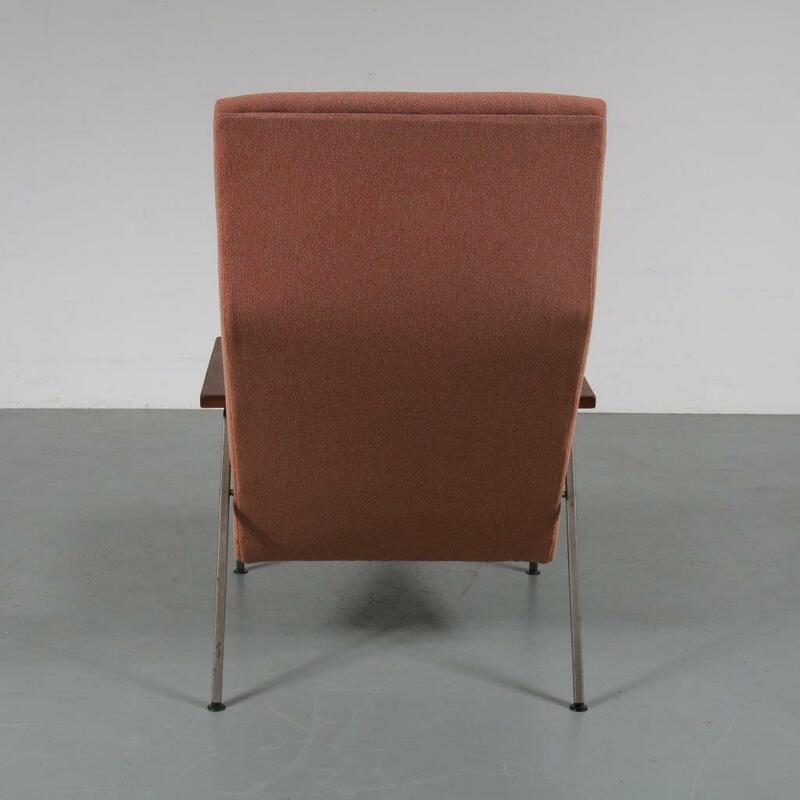 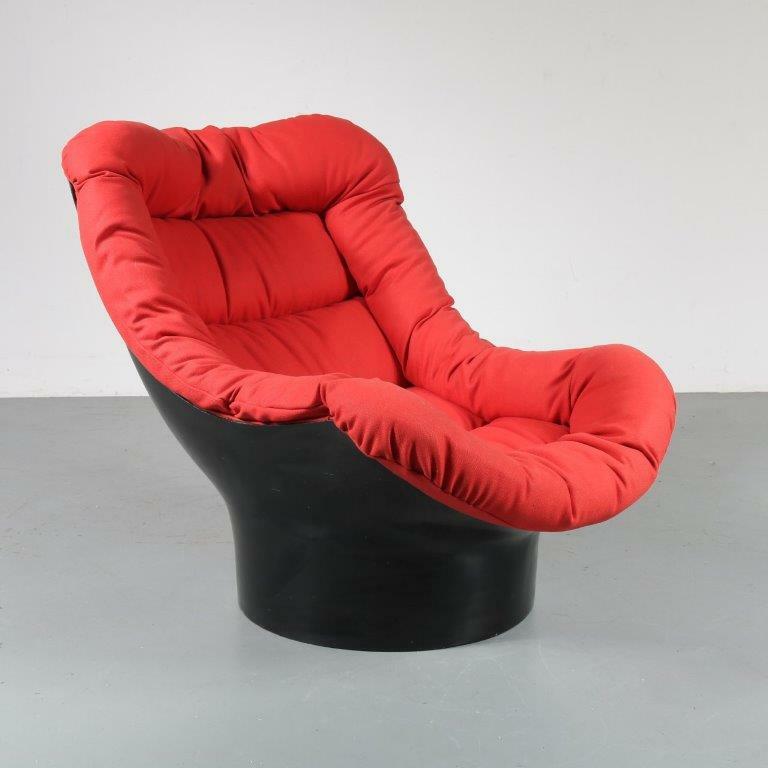 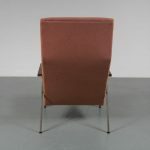 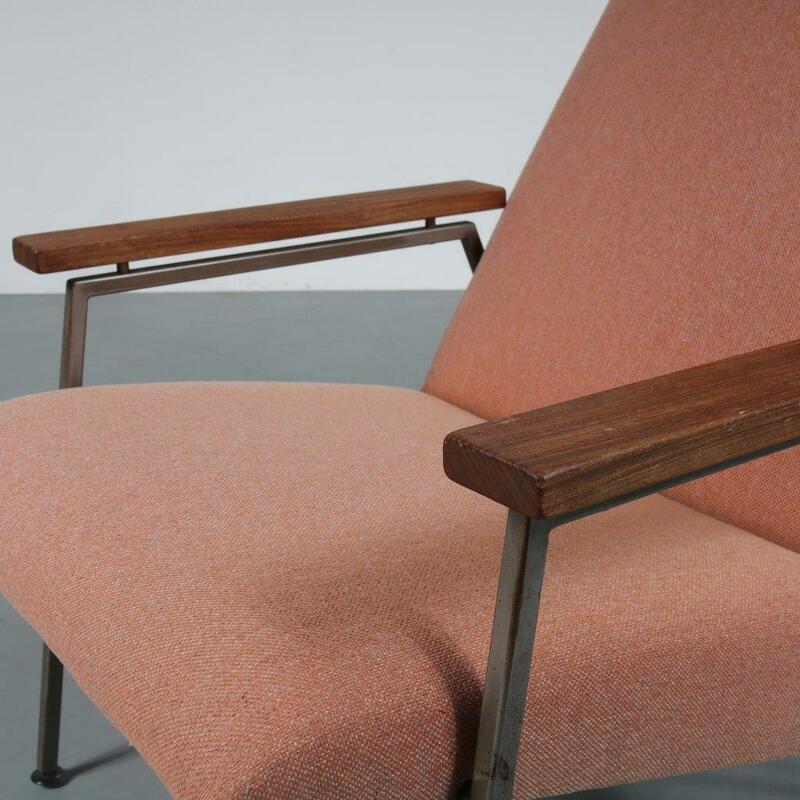 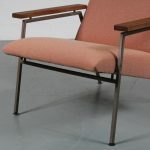 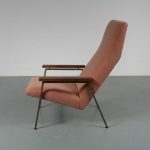 This beautiful lounge chair is an iconic piece of Dutch design! 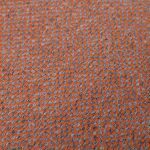 The chair has a beautiful grey metal base, teak wooden armrests and is newly upholstered in beautiful quality light wine red fabric. 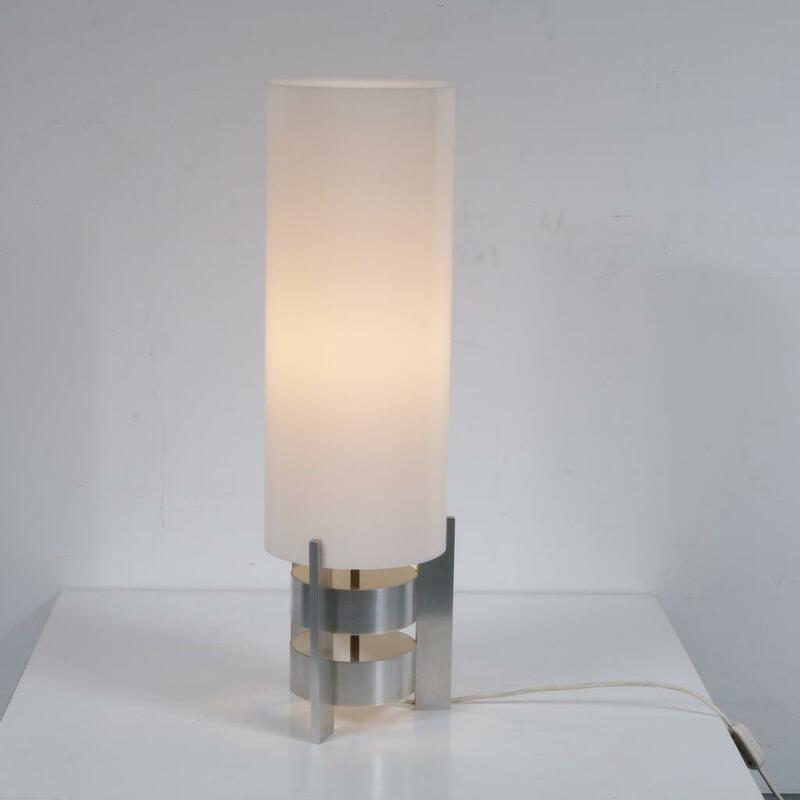 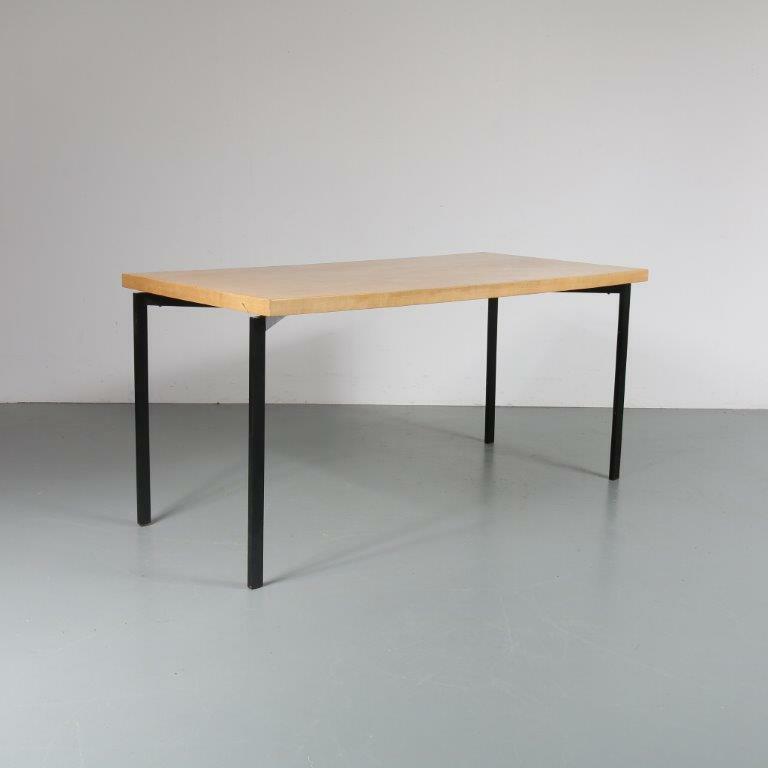 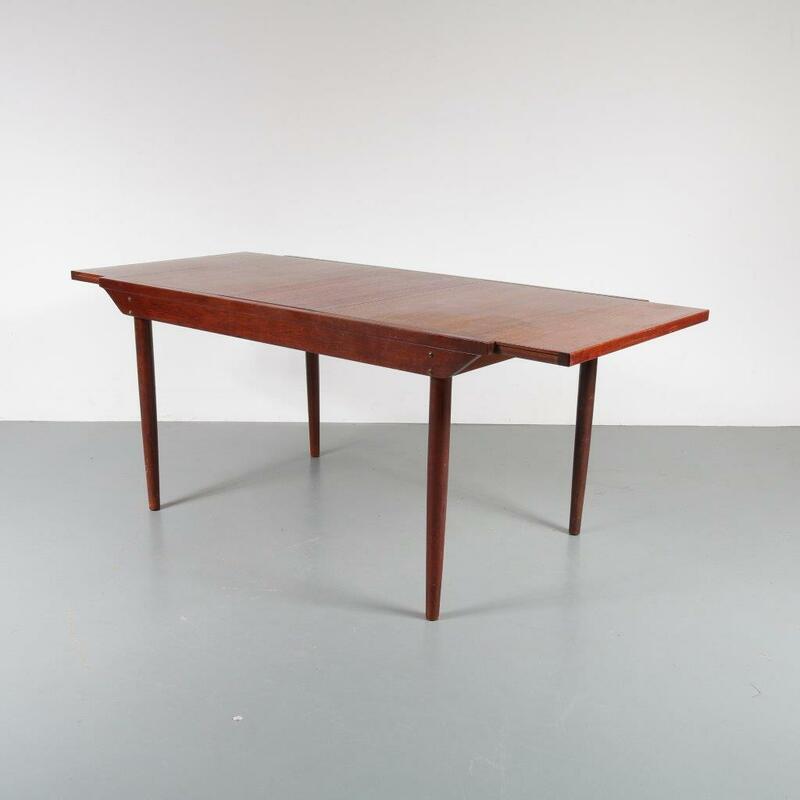 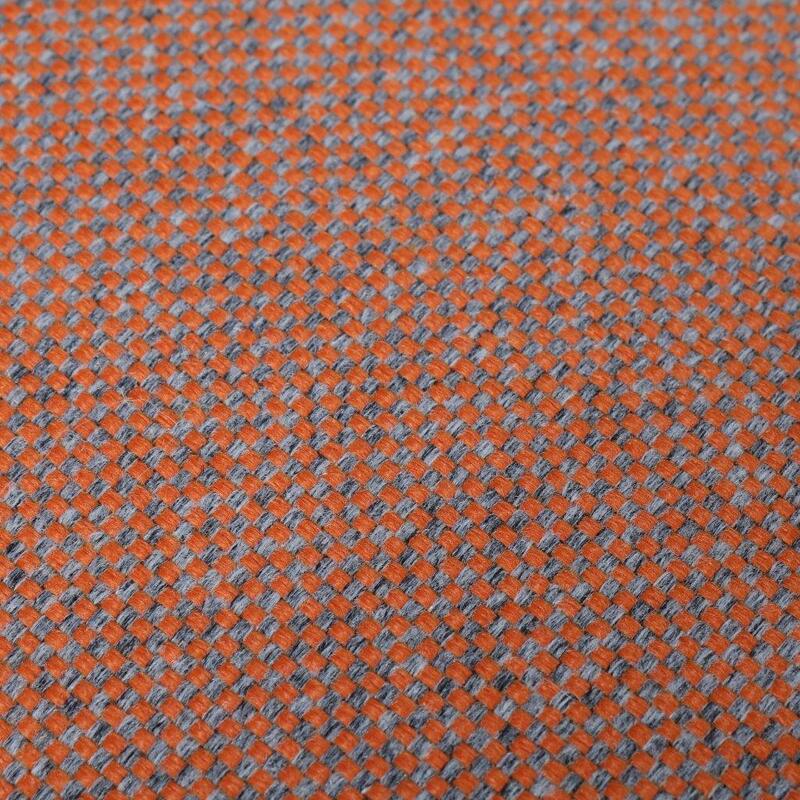 It has a very recognizable shape, making this a true piece of Dutch design history. 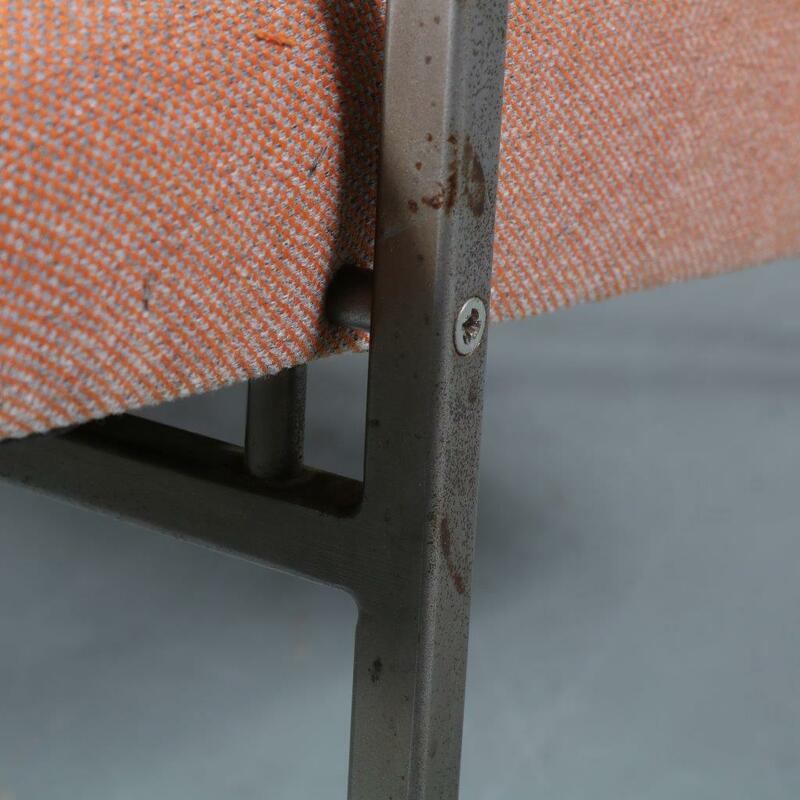 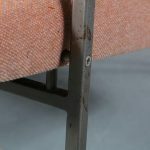 It remains in good vintage condition, with minor wear consistent with age and use, preserving a beautiful patina.